National Volunteer Week is the week of April 8! Celebrate by attending one or more of these events! 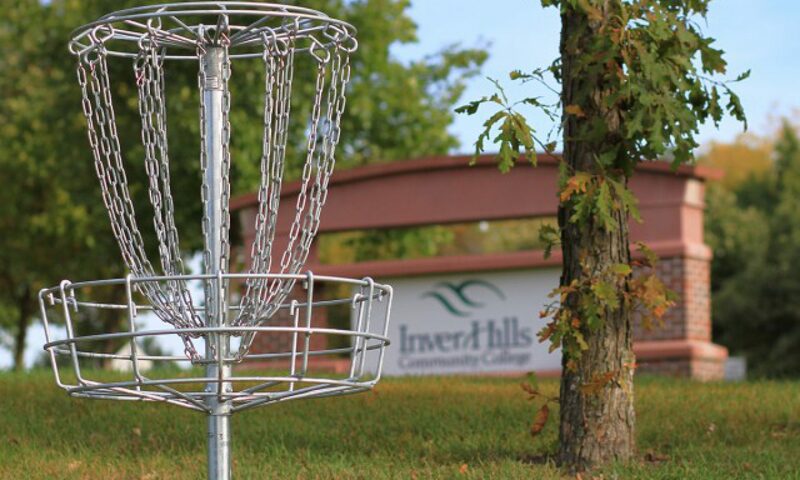 Stop by and complete a quick, on-site service project for Dakota County and Living Well Disability Services. Check out volunteer info and have a cupcake! Come to this Leadership Academy workshop to learn how to put your volunteer and other co-curricular experiences on your resume. Make s’mores and hang out with the students in our campus volunteer club to learn about upcoming service projects. 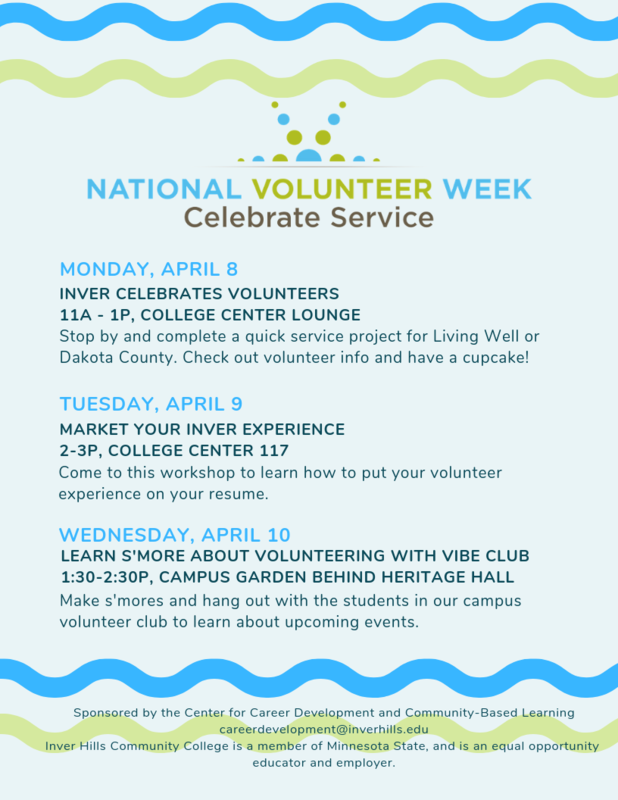 National Volunteer Week is coordinated by the Center for Career Development and Community-Based Learning. Contact careerdevelopment@inverhills.edu with questions.